This year's edition of Brighton Festival has been fully launched with Kate Tempest set to take on the role of Guest Director this year. Her curated programme celebrates what she calls the 'Everyday Epic' - as she further says: "Art is social. It should be a part of life. No big deal - just life itself." 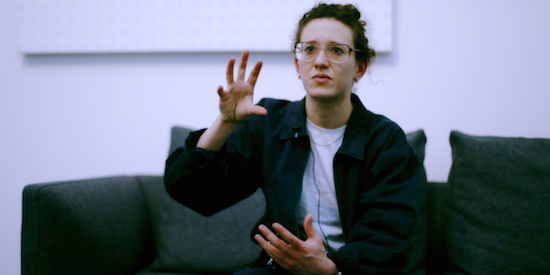 The programme features Mica Levi who will bring her live score of Under The Skin to the festival, as well as a live orchestration of Kate Tempest's album Let Them Eat Chaos, which she had a hand in producing. Elsewhere, there are appearances for Brighton-based rapper Ocean Wisdom, who will perform alongside spoken word artists such as Patience Agbabi and Dizraeli. She will also invite a number of poets and playwrights for special performances at venues around Brighton as part of the festival. Shirley Collins will also appear, as will Mykki Blanco and many more. Of her role as Guest Director at the festival, Kate Tempest said: "This year’s theme, Everyday Epic, seems to encapsulate some of my feelings about how music, literature and poetry can give us back our lives. Singing, playing, dancing, moving, painting life and communicating about that in public spaces - it requires no qualifications, no training to enjoy it." Brighton Festival takes place across a number of Brighton locations from May 6-28. To check the full lineup, get more information and buy tickets, head here.